Searching homes for sale in Los Barriles, Baja California Sur, Mexico has never been more convenient. 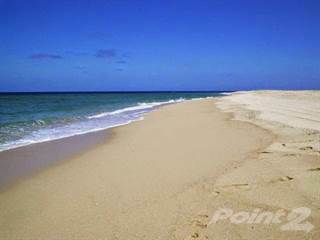 With Point2 Homes, you can easily browse through Los Barriles, Baja California Sur, Mexico single family homes for sale, townhomes, condos and commercial properties, and quickly get a general perspective on the real estate market. Point2 Homes gives you far more than a simple list of houses for sale. Get instant access to loads of relevant information about Los Barriles, Baja California Sur, Mexico real estate, including property descriptions, virtual tours, maps and photos. If you like a house for sale and you want to speak with a professional, simply contact the listing agent right from page of listing details. Or if you want to talk to an agent before anything else gets done, you can click the Tools tab and Find an Agent – you get a list of real estate agents in Los Barriles, Baja California Sur, Mexico, all ready to give you top-notch professional advice on house prices and more detailed information about your target area. 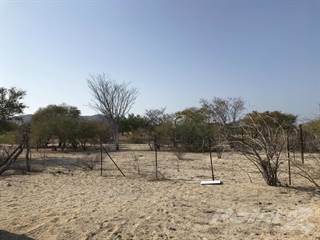 Use the map view to find homes and apartments for sale based on amenities and features in Los Barriles, Baja California Sur, Mexico that you may want close by. You can select your preferred area or neighbourhood by using the radius or polygon tools in the map menu. Filter among the 65 listings in Los Barriles, Baja California Sur, Mexico, based on real estate price drops in the past six months, so you’ll never miss a bargain. Get new listings in your inbox, daily or every week, based on your preferences, by simply saving your searches. All it takes is two clicks. Los Barriles is located in the southeastern portion of the Baja California Sur state in Mexico, along the Gulf of California. The city of close to 1,200 people is situated near the communities of Santiago, El Triunfo, Cabo Pulmo, and Miraflores. Highway 1 runs through the city and connects it to larger cities, such as La Paz to the northwest and San José del Cabo to the south. Los Barriles provides a quiet, relaxed, and pleasant experience for those who are looking to get away from large tourist areas nearby. The city provides a mix of desert, rocky coastal areas, beach areas, ancient mango groves, and forested mountain ranges. Around half of the city’s population are ex-pats who live here year-round or only part-time. English and Spanish are both spoken in the city, making it easy for foreign, English-speaking newcomers to settle in. The easiest way to reach Los Barriles is by car. Los Barriles is a popular spot for sport fishing and there are numerous guides who can be hired for this purpose. Some of the fish that live in the area include giant blue marlin, striped marlin, dorado, yellowfin tuna, roosterfish, sailfish, and wahoo. Charter boats often have excellent technology and gear available to ensure each trip out on the water is a success. Other water sports include waterskiing, surfing, scuba diving, swimming, and kiteboarding. Los Barriles is considered Baja California Sur’s kiteboarding capital, and there are several kiteboarding outfitters, as well as kiteboarding schools, in the city. Another popular activity in the area is taking trips out into the desert on ATVs, which can be rented in the city. The ATVs allow people to access areas that are remote and more difficult to get to by car. Some examples of these remote areas include the Boca de Alamo, which has ancient rock drawings; El Corro, where locals make hammocks by hand; and Punta Pescadero, which has great views and snorkeling opportunities. Trips to various areas outside of the city can provide wildlife viewing opportunities as well, with species such as snakes, geckos, iguanas, turtles, hawks, turkey vultures, pelicans, ospreys, cormorants, and herons living nearby. Near and in the water, there are rays, dolphins, and sea lions. Other activities in the area include horseback riding, hiking, mountain biking, kayaking, playing pickleball, taking aerobics classes, taking Spanish lessons, taking cooking classes, playing billiards, dancing at nightclubs, and participating in karaoke. There are a few spas in the city that provide an opportunity to relax and unwind, with services such as massage therapy, facials, manicures and pedicures, body wraps, and other esthetic services. Those looking for more adventure can travel to Cabo Pulmo National Park, which is home to the only coral reef system in the Gulf of California. The area has an abundance of fish, coral, mollusks, seabirds, mammals, and aquatic plants. The service industry is important in Los Barriles due to tourism being a primary source of the city’s income. Shops, restaurants and cafes, resorts and other accommodations, tour companies and outfitters, and other service-related businesses are large contributors to the local economy. Some ex-pats will work remotely for businesses elsewhere in the world, or will run businesses from the city using internet and telephone services, but many of those living in the area who are not originally from here tend to be retired. Real estate is another big economic contributor, with many foreigners purchasing land or properties for themselves or as investment opportunities. Los Barriles’ unemployment rate tends to be around 4-5%, which is on par with the state’s overall rate. The northern section of Los Barriles is mostly residential, with beach areas, a police station, and accommodations. Los Barriles’ central section also has mostly residential areas, but there are also beach areas, a few restaurants, accommodations, an RV park, churches, a car repair shop, a horseback riding outfitter, a small shopping mall, service providers, and a sound studio. Restaurants, accommodations, residential areas, shops, service providers, parks, schools, a car wash, beach areas, an RV park, a pharmacy, a veterinary clinic, a kiteboarding school, and a community market can all be found in the southern section of the city. Restaurants and shops tend to be grouped along the main roadways in this section and restaurants serve everything from traditional Mexican cuisine to American favourites like pizza and burgers. 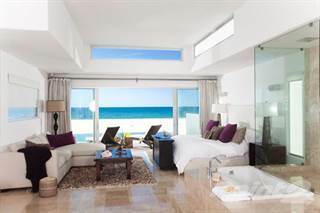 Resorts and other accommodations here tend to be located close to the beach areas. Real estate in Los Barriles tends to be affordable and there are plenty of options throughout the city. Most single-family homes here are built to suit the traditional style while also meeting the expectations of non-locals with multiple bedrooms and bathrooms. Single-family homes normally start at around $300,000, with many in the mid-price range ($400,000 to $600,000). Certain locations (hilltops, waterfront) drive the price of single-family homes up significantly. There are some luxury homes here that range into the millions of dollars, but these are not common. Condo units can be affordable, or can cost just as much as single-family homes do, depending on location, amenities, and the age of the building. Vacant land is available throughout the city for reasonable prices, making building from scratch a good option for those who can afford it. High-priced investment properties are available for people who want to rent out suites or homes to vacationers, and there are sometimes commercial spaces available here too. There are only a few schooling options in the city, and these include Los Barriles Secondary School, Jardin de niños, and Escuela Primaria Narciso Mendoza. Other options can be found in nearby communities and include Telesecundaria 1 José Agustín Olachea Avilés, Esc. Prim. Josefa Ortiz de Dominguez LR, and Buen Provecho Baja. There are no post-secondary institutions in the city, so residents must travel to nearby La Paz or San José del Cabo to access options such as Universidad Autonoma de Baja California Sur, Universidad Internacional de la Paz, and Instituto Tecnologico de Estudios Superiores. There are also many private schools that teach Spanish classes for people of all ages.